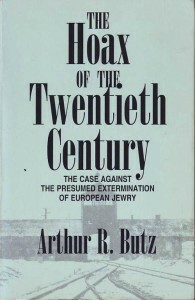 Excerpts from a talk by Dr. Arthur R. Butz [author of The Hoax of the 20th Century] titled “The International “Holocaust” Controversy”, published in the Spring 1980 Journal of Historical Review. Let me assure you that the choice of “Hoax” was calculated, and that today I am even more convinced that it was a felicitous choice, for the reason that the thing really is trivial. The term “Hoax” suggests something cheap and crude, and that is precisely what I wish to suggest. A term such as “myth,” although correct and sometimes used by me, does not convey this important description of the nature of the evidence supporting the extermination claim. The uncomfortable reaction to the term “Hoax” merely reflects the nature of the great popular delusion on this subject. At one time some of the people who are addressing you here, such as Dr. Faurisson and myself, shared not only the popular belief in the truth of the legend but also the popular impression that its truth was beyond question—“as established as the Great Pyramind,” as I wrote. However at some point we undertook an investigation and discovered, remarkably quickly, that beneath the legend’s face of granite there stood feet of clay. It is this focus on the feet of clay, that Revisionists have seen in the historical record, that creates a great psychological distance between the Revisionists and even many intelligent people, and sometimes causes the Revisionists to appear to be crusaders of some sort. Those who have not seen the feet of clay cannot have the degree of certainty that seems to accompany the Revisionists. I believe that perhaps this contrast between the apparent dignity of the received legend and the reality of its crude and contemptible foundations is the key point that must be developed in the psychological reorientation of people whom you wish to inform. Once such a psychological reorientation is accomplished, the rest is routine. The jolt that the word “Hoax” causes is a calculated initial step in this reorientation. Before the early Seventies there was only a relatively minor amount of publicly expressed questioning of the Holocaust legend. The most significant literature was the work of the former Buchenwald inmate and French Resistance member Paul Rassinier, who died in 1967. Around 1972 or 1973 […] a number of people in several countries, virtually simultaneously and completely independently of each other, resolved to question the received legend, in the manner that was appropriate to his own situation, and to publish his conclusions. Thies Christophersen‘s booklet Die Auschwitz Luege, based on his recollection of his own stay near Auschwitz during the war, and with an Introduction by Manfred Roeder, was published in Germany in 1973, and it was soon followed there by Dr. Wilhelm Staeglich‘s short article in the monthly Nation Europa, also based on his recollections of his wartime assignment near Auschwitz. The year 1973 also saw the appearance in the U.S. of Dr. Austin J. App‘s booklet The Six Million Swindle. Richard Harwood‘s booklet Did Six Million Really Die? was published in Britain in the Spring of 1974, and later in the same year there was the uproar at the Sorbonne over a letter by Dr. Robert Faurisson, so both were at work on this subject in 1973 if not earlier. 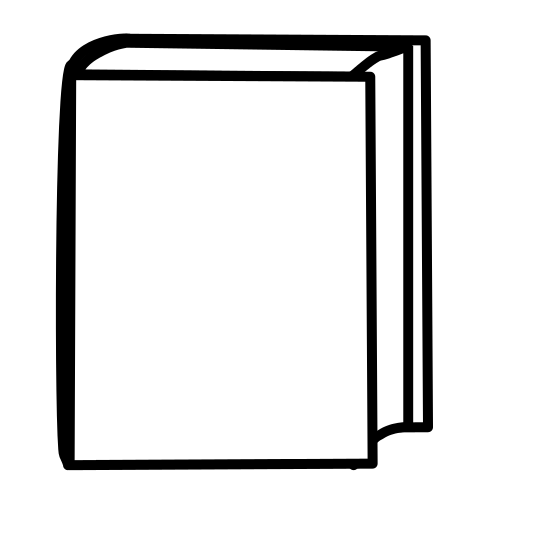 My work commenced in 1972 and my book [Hoax of the 20th Century] was published in Britain in the Spring of 1976 and in German translation a year later. You can see the gist of the conclusions I am going to draw from this account of the development of the controversy. What I have described to you has been a process whereby a thesis has emerged from the underground, to which it had been assigned both on account of political pressures and on account of its seeming implausibility (given the decades of propaganda), into the light of day where it is being discussed and argued in Establishment publications throughout the world. It is still a minority thesis, but the trend in favor of the Revisionists is obvious to anybody who is not willfully blind. The Revisionists of the Final Solution, a handful of lone individuals of very meager resources, have been successful far beyond their expectations—at least I did not expect things to unfold so rapidly—and this cannot be explained entirely in terms of society’s being receptive to such views at this point in history. The development that I have outlined here has now gone so far and I now believe it is almost irrelevant what I and my present Revisionist colleagues do, or what happens to us. To see the reason for this one need only return to one of my earliest points: this is a simple subject. The almost universal delusions have existed not because of the complexities of the subject but because of the political factors in Western society. A corollary of the simplicity of the Hoax is that it only need be questioned and discussed, in a context free of intimidation and hysteria, for the psychological reorientation spoken of earlier to be accomplished, the shattering of the delusions following in due course. That point has for all practical purposes been reached or soon will be reached. Sometimes it is said that the Revisionist Holocaust thesis is comparable to claiming that the world is flat, but note that nobody bothers the flat earth people. It is not rough to go up against the whole world with no chance of winning, but it is very rough to go up against the whole world with some chance of winning. That is what the Revisionists of the Final Solution did, and that is the reason for the persecutions, but the persecutions are too late and in vain, for as I just noted it is almost irrelevant at this point what happens to today’s “Holocaust” Revisionists. The present inertia of the controversy has the weight to bring down the Hoax even without their personal participation, and deliver these mendacious and pernicious yarns into the trash can of shattered hoaxes.